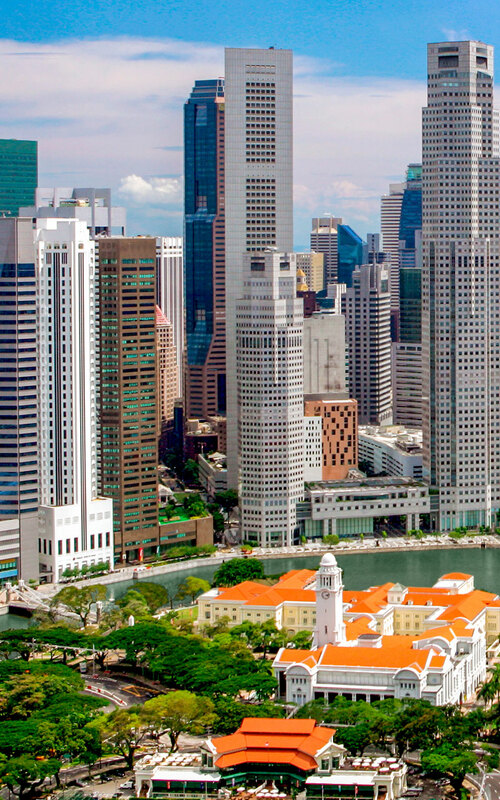 Singapore is a key international financial and trade hub in Asia and globally. With its sophisticated infrastructure, services and knowledge-based economy, Singapore serves as a gateway for international businesses to expand their operations into other developed and emerging markets in ASEAN and the South Asia region. 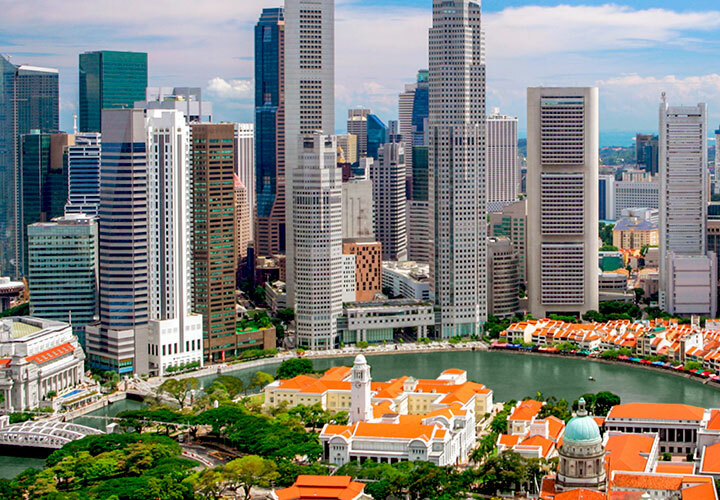 With a history of more than 30 years in Singapore, White & Case provides advice to local and multinational corporations, financial institutions, governments and state-owned enterprises to help them achieve their regional and global ambitions. We operate in Singapore through White & Case Pte. Ltd., which holds one of the Qualifying Foreign Law Practice (QFLP) licenses granted in the country, enabling us to advise on both international law and Singapore law (in permitted areas). 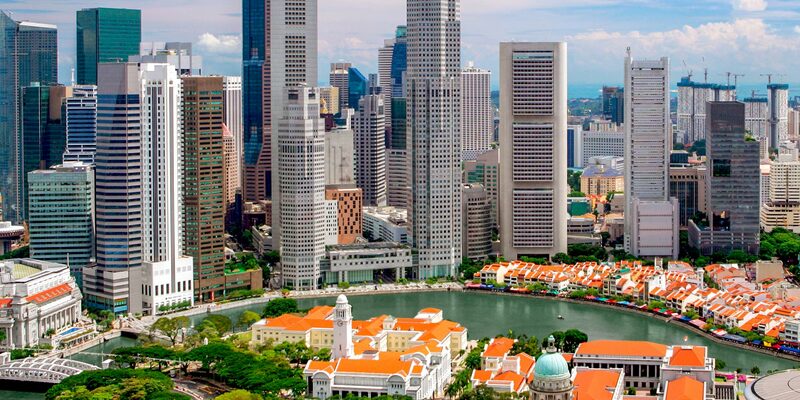 Our Singapore practice is active in a broad range of banking and asset finance, capital markets, corporate, international arbitration, mergers and acquisitions, private equity, and project development and finance matters, in local, regional and international jurisdictions. "…they are committed to protect the client's interest, but at the same time are pragmatic." "…this firm stands out for its client service mentality, flexibility around scheduling and dedication to working efficiently under great time pressure." "White & Case has a strong reputation for top-tier lender's counsel work. They provide excellent quality of service and are dependable and commercially-minded." "It's been a fantastic experience to work with them in every sense. The work spanned different time zones and they were available at all times. They've been very helpful, they were great in advising us and protecting us." "The team is 'excellent in all respects'…"
"Their work is absolutely top-notch," a source says, "they're good at providing balance between legal and commercial advice." "They are excellent—very much on board with our project and always ready to respond." "They have market knowledge, experience and commercial understanding. An excellent team." We are representing Saudi Aramco on its acquisition of a 50% equity interest in Petronas's Refinery and Petrochemical Integrated Development (RAPID) in Malaysia and on all aspects of the development and financing of the estimated US$15.3 billion joint venture project. We are representing multiple Asia energy companies in LNG price reviews. We represented a multinational corporation in a SG$500 million ICC arbitration, seated in Singapore, involving claims for the rescission of an SPA for the acquisition of a landmark asset. This deal won "Best Malaysia Deal" at the 2018 FinanceAsia Achievement Awards and was shortlisted for "M&A Deal of the Year (Premium)" at the 2018 ALB SE Asia Law Awards. We represented Babilou SAS, a Copeba portfolio company, on its acquisition of a 70% shareholding in the Nurture Education Group, a leading childcare centre operator based in Singapore. We represented bKash Limited, the leading mobile financial services provider of Bangladesh, on its strategic partnership with Ant Financial Services Group, the operator of Alipay, the world's largest third-party payment platform. We represented Citigroup Global Markets Limited, Credit Suisse (Singapore) Limited, DBS Bank Ltd. and PT Mandiri Sekuritas as Joint Global Coordinators in PT Medikaloka Hermina Tbk's Rp.1.3 trillion IPO of common shares, and its listing on the IDX, which included an international offering in reliance on Regulation S.
We represented China CITIC Bank International Limited Singapore Branch in a US dollar equivalent of approximately SG$435 million term loan facility for the acquisition of GSH plaza (an office and commercial mixed-use building in Singapore's central business district), to Five Seasons XXII Pte. Ltd., a company incorporated in Singapore, with a guarantee from Fullshare Holdings Limited, a property investment company incorporated in the Cayman Islands and listed on the Hong Kong Stock Exchange. We represented Chiyoda Corporation, a Japanese global Engineering, Procurement and Construction (EPC) company on the US$1.5 billion restructuring of their investment in EMAS Chiyoda Subsea Limited (ECS), a joint venture company owned by Chiyoda Corporation, NYK Shipping Lines and Ezra Holdings Ltd. The business of the JV was to provide services to the oil & gas industry (subsea cables and offshore contractor). We represented Redwood Group Asia on its merger with e-Shang Cayman Ltd (a logistics developer sponsored by Warburg Pincus and APG) to create "e-Shang Redwood," one of the largest logistics real estate platforms in Asia (Singapore, China, Japan and South Korea). We represented Jasmine International Public Company Limited in the THB 55 billion (US$1.7 billion) initial public offering (IPO) of investment units of Jasmine Broadband Internet Infrastructure Fund (JASIF) and listing on the Stock Exchange of Thailand (SET), which included an international offering in reliance on Regulation S and Rule 144A. JASIF is Thailand's second telecommunications infrastructure fund to be established under Thailand's infrastructure fund regime with Jasmine International PCL as its sponsor. The deal was named the "Equity Market Deal of the Year (Premium)" at the ALB SE Asia Law Awards in 2016. We are providing advisory and reporting services to sovereign clients, trade associations and multinational corporations regarding international trade developments, regulatory issues and the impact of trade agreements in relation to ASEAN-member and other Asian countries. Our services are provided to clients from a cross-section of industry sectors including automotive, chemicals, electronics, energy, food and beverage, manufacturing and steel, among others.